These Baby Mobile have really done it to me right now. The individual components are crocheted quickly in the evening. Over the course of a week, different works are created that look different every time. Of course, I wanted to show you that, because I like it again. Together with pearls you can combine these mobiles really nice. 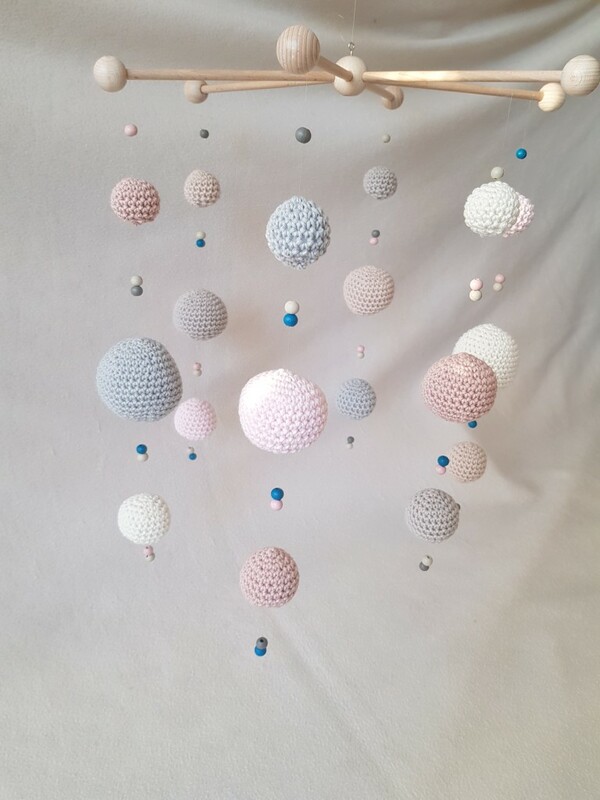 You can find the instructions for the crochet balls here on my website. Just make a nice mobile and send me your pictures! I like to open a gallery so that others can seek inspiration.